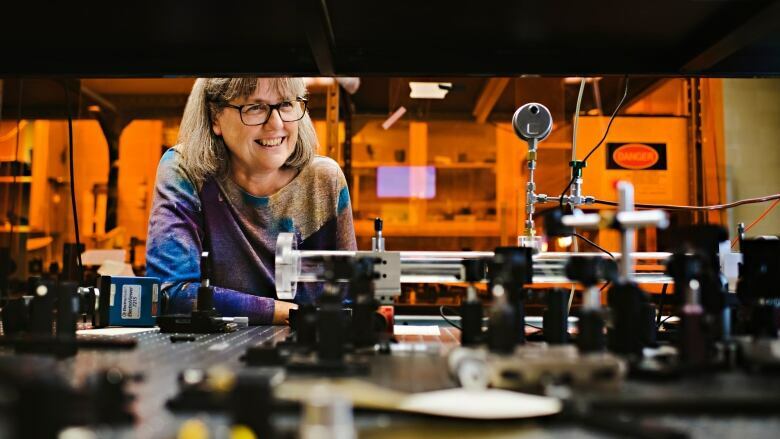 Donna Strickland, a laser researcher from the University of Waterloo, is a 2018 laureate, and only the third woman to win the Physics prize. 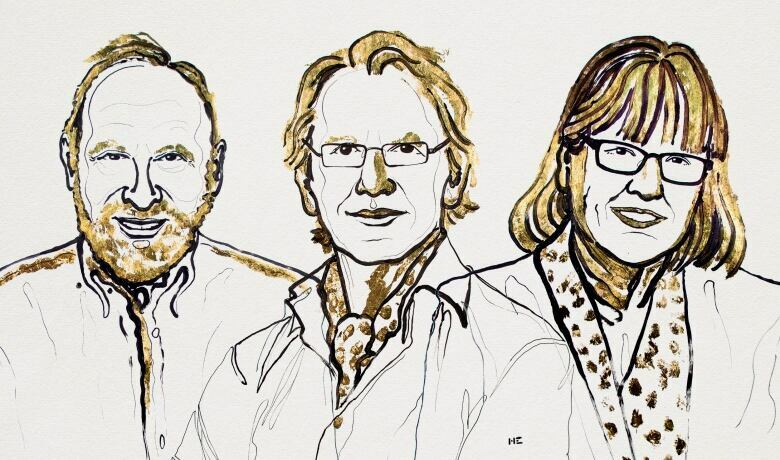 The roster of Canadian Nobel Laureates grew by one this week, as Donna Strickland joined the likes of Art McDonald, Bertram Brockhouse, John Polyani, Gerhard Herzberg and Frederick Banting as a winner of science's most prestigious honour. Strickland, an associate professor of physics and astronomy at the University of Waterloo, won the prize for the development of "chirped pulse amplification," a technique that produces very short, very intense bursts of laser light. She did the work while she was a graduate student in the lab of Gérard Mourou at the University of Rochester in the 1980s. The technique proved almost immediately useful, allowing the development of laser eye surgery and new industrial laser cutting techniques. Perhaps even more importantly, it allowed for the development of more and more powerful laser tools for scientific research. Today at her lab at Waterloo, Dr. Strickland continues her laser research, working on developing more powerful and faster laser pulses to investigate fundamental phenomena in physics. Bob McDonald: Now you've had a little time for the news to settle in, how are you feeling at this point? Donna Strickland: It's still overwhelming and I'm still sort of tired from it. Bob McDonald: I understand when you got the call from Stockholm you actually hung up on them. Bob McDonald: Your prize-winning work dates back to your PhD research. So how did you become interested in laser research in the first place? Donna Strickland: Just as a high school student. McMaster University had an engineering physics program and I couldn't decide between physics and engineering, so I thought that walked the line for me. And inside that they had a program for lasers and electro-optics and I just thought that was really sounded so cool, so much fun. I can tell you that what my mother would say — she's no longer alive but when she was she would say — that I was taken to the Ontario Science Centre as a young child by my dad, who was a electrical engineer. There was a laser there at the time and he supposedly said to me — but I don't remember this — "Donna, lasers are the way of the future. You want to see this." Bob McDonald: Back in the 1970s I was operating that laser at the science centre! [laughter] Now you call yourself a "laser jock." What's been the lasting appeal of laser research for you? Donna Strickland: I think it's just a lot of fun. I was the kind of kid that liked to play with Legos and just sort of build things and I still ask my students that come in if you're that kind of person. First of all, when I walked into Gérard's lab the very first time, the lab red lasers pumped by green lasers and I just walked in thinking, "Oh my goodness, this is just like a Christmas tree." How much fun would that be to work in a place like this? You know, other people have great scientific reasons for doing things, but I just go with the way I feel. Bob McDonald: Let's talk about your prize-winning work. What is a "chirped pulse amplification" of laser light? Donna Strickland: Gérard was already an expert in short pulse lasers, and there were many short pulse lasers. There were also high-energy lasers that were used for fusion. But you can't put a short pulse through an amplifier. The way to think about it is that how the electron responds in the atom to the electric field is based on what's known as the intensity. And that's how much you can squeeze the total amount of light into the smallest volume so you can use a lens to focus down in two dimensions. But the other dimension is time and so if you want it really intense — if you want all of your light in a small volume — you must squeeze down in time. But if you use a short pulse you put it through your amplifier then you have all of this energy in this very small volume and you blow up your laser. So that's why we couldn't have short pulses on high energy in the 1980s. And what Gérard and I did was realise that what you want to do is in that one dimension of time just stretch that pulse of light out many many orders of magnitude then amplify it up and after that, what our research really showed, was that it didn't mess up the stretching so that we could we compress back to a short pulse again. Bob McDonald: Okay. I just want to make sure I've got this right. You're saying that if you try to put an intense pulse through an amplifier there's just too much energy in a small space so it blows everything up. And you want to stretch it out. But how do you stretch out a light beam? Donna Strickland: Gérard was also very good at begging for things, and he got Corning which was one of the big fibre-optic optic companies to give us two and a half kilometres of a special fibre that would work for the wavelength of light that we had. In the end I did break the fibre when I was unspooling it, so there was only one and a half kilometres. But in that one and a half kilometres of fibre the reddest of the colours traveled the fastest so they got to the end first and then the bluest of the colours travelled the slowest. So they got there about 300 pico-seconds later and that's how you end up with a pulse that's long and not short. Bob McDonald: Wow. So you literally made it long by running it on a long fibre-optic cable and then you amplify that. So how much stronger is the pulse when it comes out compared to when it went in? Donna Strickland: It's a hundred thousand or a million times bigger. So we had one millijoule in one picosecond. Bob McDonald: it's kind of unusual for the Nobel Prize winner in physics to be so useful. I mean especially so immediately useful. What is it about these intense short bursts of laser light that have made them so valuable in medicine and in industry? Donna Strickland: Yes I mean actually a lot of work takes about 50 years. So for one thing you have to remember that the laser was first thought up by Einstein because he seemed to thought of everything. And his first work on stimulated emission was by him theoretically in 1917. So you look how long it took already, just to get to the laser in 1960. So in a way you know lasers had been around and this is a very useful technique to make them more intense. So I think that was just ripe for people to start thinking about if we had them that intense what could we do. Bob McDonald: Well beyond the commercial applications like for cutting or for laser eye surgery, they've also proved to be enormously powerful in science as tools. Can you tell me about that? Donna Strickland: Yes. I would think that's the bigger area really. In one way they are being pushed to be ever more powerful. On the other hand, there's a lot of people that don't need that enormous intensity. My post-doc supervisor Paul Corkin is one of the people that took this CPA laser and decided to make attosecond pulses. Bob McDonald: But when you get pulses that are that powerful and that short, what are you doing with them scientifically? What are you investigating? Donna Strickland: Well I think one of the big pushes right now with the intense ones would be laser acceleration. I know that Gérard is really hyped at trying to maybe replace CERN. CERN eventually will have to be bigger if they want to keep doing even more high energy physics. Bob McDonald: You're talking about using lasers for studying particles within the atom, rather than these giant 20-kilometre rings at CERN. Donna Strickland: But they hope that even if they can't compete with CERN right away, they can still accelerate particles enough in a much smaller space that maybe could still be used for medicine. One of the ideas is proton acceleration for brain cancer. Bob McDonald: How will this lead to work that you are still pursuing here in Canada in your lab at Waterloo which involves freeze frame movies of molecules? Tell me about that. Donna Strickland: The idea is of course you know since the stroboscope and before people keep trying to take images of faster and faster things. And so at some point it would be nice to have a movie where you could see atoms just vibrate you know. Now to do that though these items are vibrating on the timescale of just a few femtoseconds. So that's why you need a short pulse if you're going to freeze that action the pulse has to be shorter than that timescale of the motion. So that's one thing but also the atoms are very tiny so it's not like you can see them in a microscope. And so the way to see them is to strip the electrons off to atom side by side in a molecule. If you do that — and people go back to their first year physics they'll remember that — that's the Coulomb force between two charges. We usually do it with pith balls and stuff when we show it first year students. And so this is why it's called Coulomb explosion spectroscopy. Those two charged atoms or ions have no choice — they must explode the the force between them is too great. But also then you can go back and measure what was the kinetic energy and from that you can determine how close they were when they exploded. Bob McDonald: So so what you're doing essentially is seeing chemistry in action. Donna Strickland: OK, I'm going to say this is one of the things we want to see with my laser! [laughter] And we still haven't quite figured it out. Bob McDonald: That'll be the next Nobel Prize. Donna Strickland: Well I doubt it. You never know. Bob McDonald: You trained as an engineer and you're doing cutting edge science you're still making things you're developing these tools for scientific research. How important is this to you. Donna Strickland: I just have fun doing it. Now I've been told I use that word too much but I don't know how else to say it. Like if my day is dragging on I go down to the lab any time I think "oh I just can't mark another test or I can't do whatever," I always get a buzz out of going into the lab. Getting to be an experimentalist and you get to see something for the very first time — it is a thrill that people that don't get to do that don't understand. Bob McDonald: Those Christmas coloured lights are still fascinating to you. Bob McDonald: Well much has been made this week of the fact that you're just the third woman to win the Nobel Prize in physics. What do you think that means, now and for the future. Donna Strickland: Well I don't know. I don't know if Maria Goeppert Mayer was asked that it strange that she was only the second woman. I actually cited her in my thesis and I didn't know she was a woman at the time. I have to say that one of the professors that read my thesis stroked out where I said "he: and said "for shame Donna," and so I had to go back and study who Goeppert Mayer was. The work she did was amazing and she didn't get paid. The work that I cite — she started multi photon ionization, this tool that we would use to blow the molecules up — in 1939. She was a theorist, so she didn't have to wait for the laser, and she was a woman and not getting paid to do this science. So we've come a long way, and I think we should always remember to celebrate that we have come a long way. We can worry that we're not all the way. But I would like to celebrate that we've come a long way.